Whether it’s created organically through expansion and hiring staff, or it’s a major part of the company’s genetic makeup, corporate culture can be the difference between reaching success in business, or not. Corporate culture refers to the beliefs and behaviours that underpin how a company’s employees handle business transactions. It is somewhat a culmination of traits of the people the company hires. Corporate culture should form part of any serious business strategy and consideration should be given to a key few things. Employing The Right People: Finding the right people with the right skill set to add value to your business can often be a hard task. With a lot of HR employees looking to get a new staff member with the right experience and skills, it can be easy to overlook important cultural elements such as values, ethics, attitude and personality. Often, a highly skilled employee won’t last in a workplace if there’s a big contrast in culture, regardless of skill. Employing the right people, who embody and understand the same corporate culture is integral to ongoing success and reduced staff turnover. Planning: Involving your staff and sharing in the overall direction of the business is an important element of corporate culture. It helps them get on board with the company direction and help facilitate growth and evolution as they embody the same common goal. Employees who feel they are contributing to the success of the company tend to have a sense of purpose and will go the extra mile for the company. Communication: Guidelines on company culture – what is and isn’t considered acceptable – must be effectively communicated to staff though written, verbal and non-verbal communication. It’s also imperative that senior management staff fully embody the culture so it radiates through their day-to-day operations. This is hugely important as it demonstrates to staff the ideal way to act and be in the workplace. Consistency: When it comes to what is acceptable in the workplace as far as culture and ethics is concerned, there needs to be consistency across the board. For example, for a successful company culture model there mustn’t be different rules for different levels of management. Consistency is key in effectively communicating and demonstrating a healthy culture in the workplace. Establishing a corporate culture is key in building a great business. To make the most of your business success, make your money work for you. 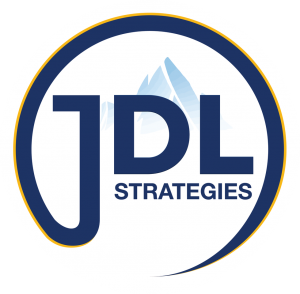 Come along to our half-day Fast Track event near you or take advantage of JDL Strategies 2-hour event and learn how. ← You Are Wasting Money Each Week – Here's How To Stop!